Discover how Jon Yourkin and his sales team achieved 242% more sales-generated leads within 90 days of purchasing Sales Navigator. As an Account Executive for LinkedIn Sales Solutions, it’s my job is to introduce Sales Navigator to sales organizations. The best part of this work is scoring a courtside seat to watch the brilliant transformations in the way my clients sell. It’s not that they can’t find buyers with basic LinkedIn and a Google search, but that process doesn’t compare to the time-saving, lead-generating, trust-building power of Sales Navigator. It really helps sales pros stand out from the crowd, as you will see in the following narrative. With this story, I like to start with how it ends: Commercial Leader of Sales and Marketing at MCN Healthcare of Colorado Jon Yourkin and his sales team generated 242 percent more sales-ready leads within 90 days of purchasing Sales Navigator last year. "I’m just so proud LinkedIn was able to create something like this, for me,” said Yourkin. “The idea that you can find like-minded people to help you do your job, that second, that minute, that hour - That’s what I wanted to achieve, that’s what my sales team was trying to do. It led to a whole customer segmentation philosophy." Of the team’s entire pipeline, 54 percent was produced using Sales Navigator, costing less than 1 percent of the entire sales and marketing budget. Before purchasing Sales Navigator, tradeshows had been the primary vehicle for lead generation, consuming 40 percent of the budget. Yourkin’s team also reduced the average sales cycle by 30 percent, and dramatically increased conversion rates from 4 to 40 percent while maintaining price integrity. How did he achieve this transformation without a huge disruption to his team’s process? 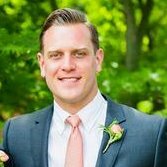 He followed a strategy requiring sales reps to use Sales Navigator for 15 minutes each day, which is just over an hour each week. The fact is, selling is and always has been social, and now technology allows us to connect with buyers at a higher velocity. Technology also produces hyper-informed buyers who don’t need to rely on salespeople for education. This self-reliant audience changes the efficacy of making cold calls as a strategy. You might as well try to befriend strangers in Grand Central Station during rush hour on a rainy Monday. Reps focused on reaching the powerful and influential among their buyers. They forged relationships broadly across the organization and with senior leadership, building consensus. They listened and stayed as hyper-informed as their prospects. Specifically, they honed in on what executives in their target accounts were saying on LinkedIn, then used that to start conversations. They offered insight or value before they pitched. Being thoughtful is a great way to be memorable. If an executive publishes something publicly, odds are they found the content important. By not ignoring the content (adding a comment, mentioning it in a message, liking it), Yourkin’s sales reps could showing genuine understanding of what mattered to their leads. “We can see what they are thinking about; we can stand out and add value…But it all starts with finding the right person and the influencers around them. Without Sales Navigator, we would never have that,” says Yourkin. The transformation was swift. Because the team committed to building multiple relationships at each account, pass-offs from one stakeholder to the next were also dramatically reduced. It also promoted trust between seller and buyer, often removing prospects’ need to investigate competing vendors. As a result, pricing integrity was no longer a struggle for Yourkin’s team. 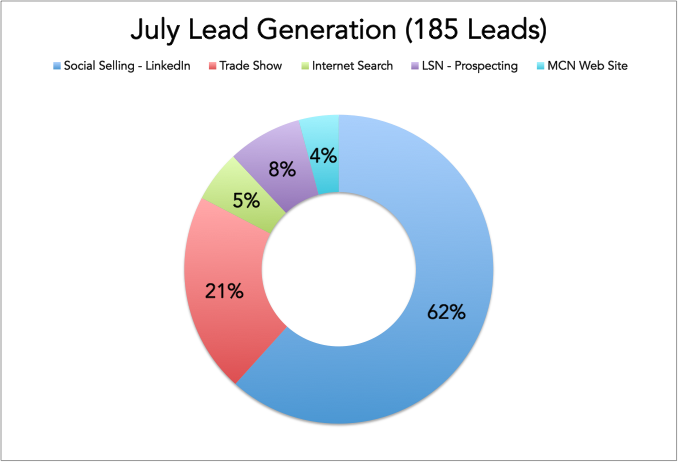 Leads generated via social selling also scored higher on a lead scoring algorithm than leads gathered through tradeshows. That best part of this story? It was easy. All it took was Yourkin’s willingness to try something different. By leveraging the power of Sales Navigator, no one had to reinvent the wheel and the adoption strategy was simple: Team members could either use insights generated by the world’s largest professional network, compiled and distilled to fit their specific needs, or they could continue making unwanted cold calls. Yourkin and his team aren’t alone, and their success isn’t an anomaly; it’s a trend. As a sales leader, you can become a part of this trend by using Sales Navigator to improve your team’s position in the buying process. 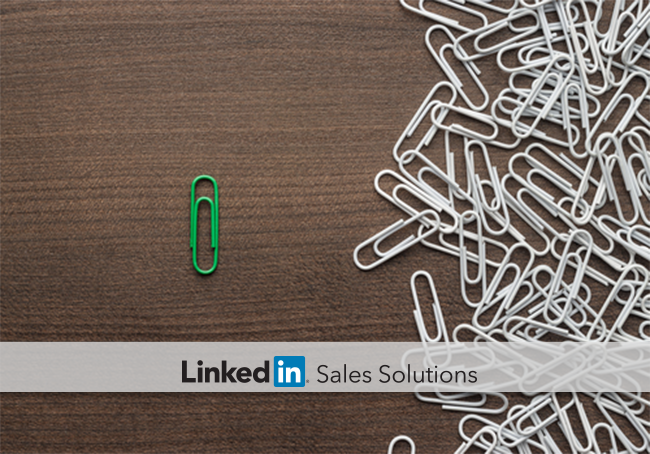 To learn more about helping your sales team stand out from the crowd, take a look at the How to Maximize LinkedIn’s Value with Sales Navigator eBook.